Rent a boat for a special occasion. Bootnodig? 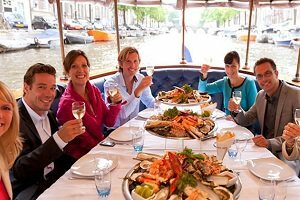 Work on the team spirit of your employees during a boat cruise! With a view on the open waters or on the rustic landscape, your staff will bond quickly. Of course it is also very nice and instructive to jointly take up the challenge and sail the ship yourself. Rent a boat and go sailing together and your employees will learn to really cooperate. A nice diner with some drinks is one of the nicest things to do. But a dinner during a cruise is still so much more exciting. Enjoy the slow rocking of the boat while you fill up one more time and enjoy the exclusive food. 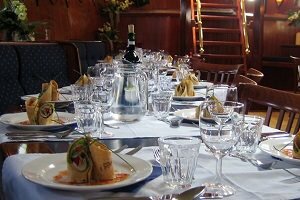 Boats at Bootnodig have excellent chefs who can prepare the most exquisite dishes, better then many restaurants! A boat is a perfect location for a variety of celebrations. A boat trip is a party itself, so a party on ship is even better. 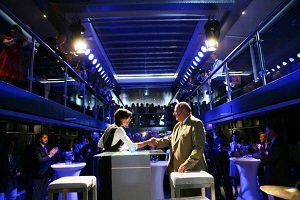 A number of possible festive events can be organized on a boat such as a wedding, a music festival or even a real dance party on a boat. The Bootnodig fleet consists of a number of vessels that are designated as official wedding locations. This makes it possible to marry in the intimate and elegant atmosphere of a ship. Steer the first miles of your marriage as the sails billow above your head. Toast the glass on the many miles that will follow. Launching a new product is a unique event. This requires a unique location! A boot-presentation makes this presentation a unique event on itself. The boot should fit the product that you want to present. 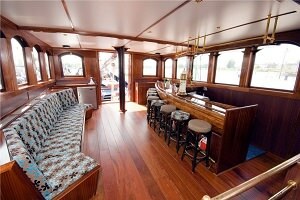 From modern to traditional, luxurious and cozy, Bootnodig has all kinds of boats for your product presentation. We are happy to assist you in finding a beautiful boat that fits your product . njoy a beatifull sailing trip together with your family. Being together with your loved ones during a boat trip is even more fun. You can choose to sail along the pretty harbors of Europe and visit them. But you can also have a dinner on the open water. 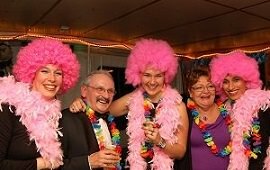 Rent a boat for a family celebration and you are assured of a wonderful day. Meet the love of your life on a ship, isn't that romantic ? 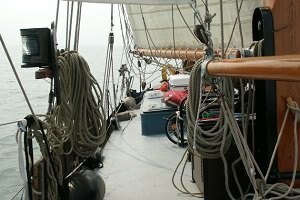 A trip on a boat gives a very intimate atmosphere, whether you take a long boat trip to southern Europe or just a short one across the Waddensea. Enjoying the sunset from the bow of a ship and beautiful things will happen! Do you want to surprise your business relations (or relatives / friends) with beautiful journey when they from one to another location? Hire a boat for a change. 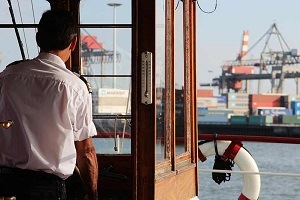 By boat you can get almost anywhere and our skippers would love to pick you up. With a boat-transfer you are sure to make a big impression. A business meeting on a boat is a unique event. 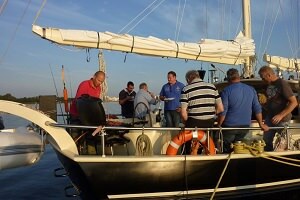 Our boats have the necessary features for a succesfull meeting. Show your presentation, meet and talk, eat lunch and afterwards enjoy a drink: it a all possible. Meetings on a boat can give you the opportunity to take that hard decisions as no-one can walk of the ship! Bootnodig has provided many film producers with a suitable film-location. 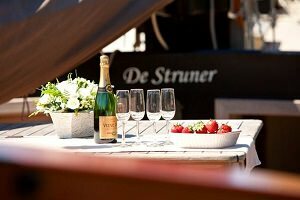 Whether you are looking for a boat to film an exclusive wedding or just a typical fishing boat with authentic nets, or maybe a luxury yacht that is suitable for a trip on the Baltic Sea? Bootnodig has the knowledge and network to provide you with a tailored solution. A solemn scattering of the ashes of a beloved one is possible on various boats of our fleet. Such a ceremony demands certain facilities, permits and a appropriate appearance. The boats that meet these requirements can be found here. Say goodbye to your unmarried life with a wild boat party - that is the way to go. Let the drinks flow and make it a unforgettable day. Visit some ports if you like or just stay on the open waters. Enjoy it while you can!